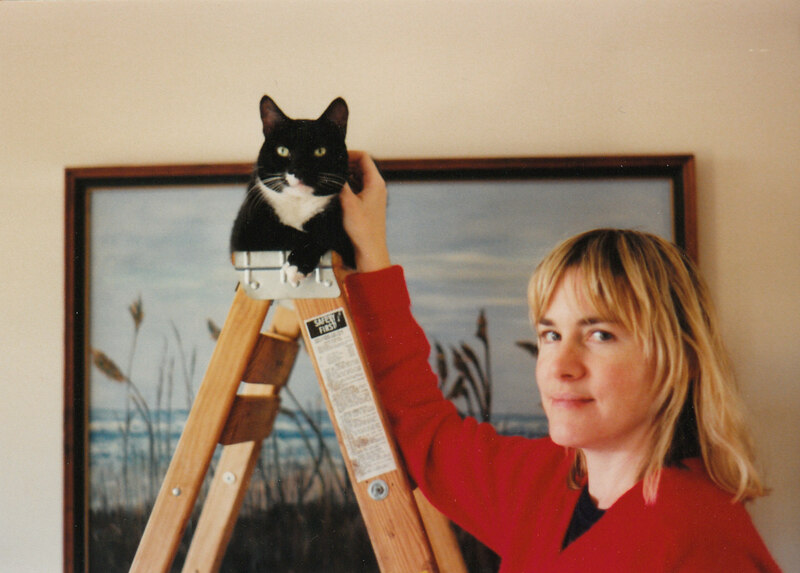 Debbi Mack is the author of LEAST WANTED, IDENTITY CRISIS, and FIVE UNEASY PIECES. Both LEAST WANTED and IDENTITY CRISIS, which feature her character Sam McRae, have become Kindle bestsellers, attaining the top 100 bestseller list and managing to stay there. FS: Hi Debbi, and welcome to fringescientist.com Thank you for agreeing to participate in this interview. DM: Thanks, Tony. It’s my pleasure. FS: I really am itching to talk to you about your books and your writing, but I’d like to cover what goes on behind the scenes first. So what does Debbi Mack do when she’s not writing Sam McRae mysteries? DM: Oh, the usual stuff. Watch a little TV, smoke a lot of crack. I’m joking, of course. I watch a lot of TV, enjoy lots of different kinds of music, see lots of movies of all kinds and read lots of different books. My tastes tend to be very eclectic. I also enjoy walking and sitting on my porch, drinking coffee. I love to travel and see new places. I’ve traveled quite a bit around the U.S. My only trips outside my country have been to Canada and Italy. I hope to make my next international trip to the UK, if possible. I’ve always wanted to see England, Scotland and Ireland, because I have ancestral roots there, among other reasons. FS: You spent a number of years practicing law. What was the tipping point for you leaving that profession and following your dream of being a writer? Surely everyone who has the urge to write has the same dream of being able to write full time and leave their day job. How did you manage it? DM: The decision to write instead of practicing law came about when I realized that time is a non-renewable resource. Once you’ve spent your time on something, it’s gone forever. So, I decided that rather than waste any more time in a half-hearted pursuit, I should apply my time and energy toward a whole-hearted interest. 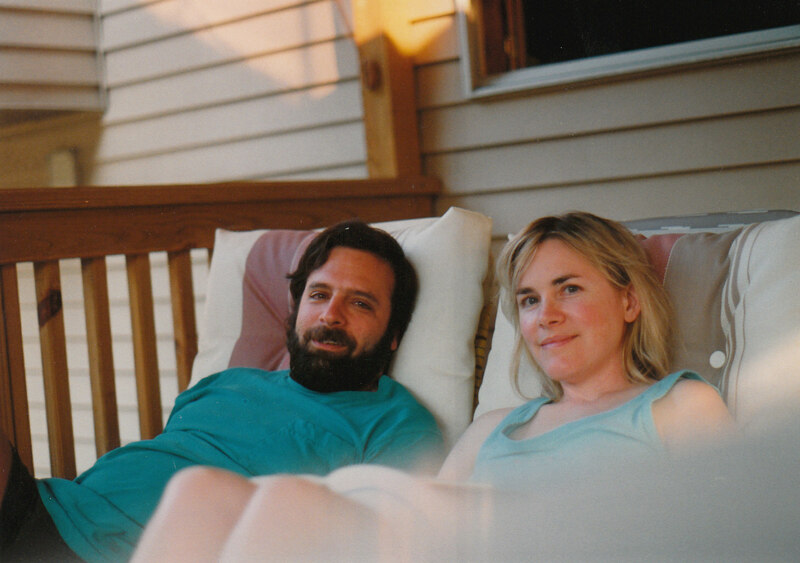 Fortunately, because I had my own office when I made this decision and my income was sporadic (to say the least), my husband and I had learned to make do with less money than we enjoyed when I was employed as a government attorney. Having had my own business, I was also better prepared mentally and emotionally to take risks and responsibility for my actions. FS: When writing, how do you structure your time? Do you manage to have a good balance of work/family/play or is it a struggle? DM: Striking a good work/family/play balance is always a bit of a struggle. However, it helps to plan. Every night, I figure out what I want to accomplish the following day and pencil time for it onto my calendar. This way, I know I’ve allowed enough time to get the task done, at least in theory. I try to adhere to the plan for the day as closely as possible. If something slips and I can’t get it done, I just move it to the next day. I’m pretty good about setting deadlines for myself and holding myself to them. I also try to set aside time to do things I want to do like go to movies or plays or just hang out and relax. You have to give yourself a break or you’ll drive yourself into the ground, which will hurt you in the long run. Your creativity will suffer for it and then where will you be? FS: I’d have thought that LEAST WANTED and IDENTITY CRISIS took a lot of preparation prior to writing them due to their complex plot and characters – how did you prepare for them and how much time would you say you spent on that side of things? DM: Off hand, I can’t remember how much time I spent exactly, but I did spend a good deal of time, simply outlining the main plot points of the stories and figuring out who everyone was, what they wanted and why they wanted it. This was especially true of LEAST WANTED, which has the dual plotlines. One of the things I did was read a couple of mysteries with dual plotlines, just to see how other authors managed to weave them together. Obviously, I couldn’t just copy what they did, but I hoped to pick up some of the feel of how to do it by osmosis. I don’t know if it worked or if I could’ve done it without reading those books. In any case, I somehow managed to pull the story together. For what it’s worth, I always start out by creating a rough outline of the story. Nothing too detailed. I started out using Syd Field’s screenwriting template as a guide: two main plot points dividing the story into three acts, with three minor plot points within each act. Since then, I’ve started using Blake Snyder’s 12-part “Hero’s Journey” structure, as a rough guide. I’ve noticed that each time I write a book, I tend to rely less and less upon the outline and more upon my instincts, but I always start out with a rough outline, so I have some idea of where the story will ultimately end up and how it’ll get there. FS: What made you want to publish independently as opposed to a big publishing house? Did you try those first, or did you always want to just do it yourself? Obviously, judging by how well your books have been received so far, you’re doing well. Would you reach the same level of success, do you think, if you’d been with a big name rather than putting them on yourself or has being an ‘Indie’ gone in your favour? DM: I started out like most authors, by assuming I needed a publisher. 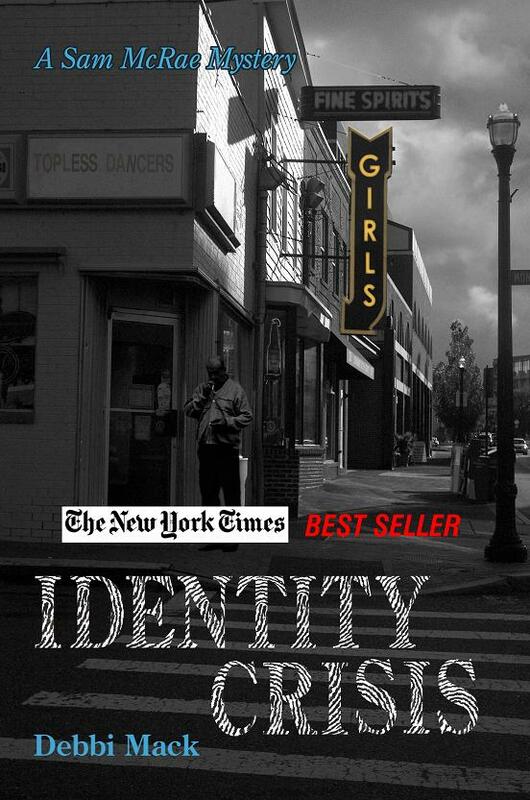 In fact, my first novel, IDENTITY CRISIS, was originally published by a small press that went under nine months after the book came out. I had a three-book deal with the small press, but they gave me all my rights back – thank God! – and I revised the first Sam McRae novel that I actually wrote to make it a sequel and wrote another book (which I later revised so it became the actual sequel – confused yet?  — so that actual first novel has remained unpublished – so far …) in the series. 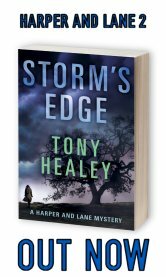 Then, I wrote a standalone crime caper and started work on a thriller. All this time, I was looking for an agent and striking out. 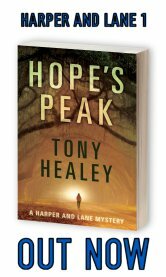 Finally, I figured I had a perfectly good novel that had gotten some great reviews from readers and reviewers during the short time it had been out just sitting on my computer. Why not self-publish it? I had no thoughts even then of being an ‘indie’ author. I kept looking for an agent. Finally, I realized that if I took the effort I was putting into writing pitch letters to agents who might or might not be able to sell my work to publishers who might or might not give me a decent advance and provide sufficient marketing and promotional support for my books and put that effort into simply selling directly online to readers, I could actually make more money and sell more books, primarily because of the increased popularity of ebooks. FS: How have you found promoting your work on the internet? Is it a tough sell? For those starting out, what advice would you give for promoting your work effectively? DM: I think of being a fiction author in terms of running a small business. It’s always tough when you’re starting out. You have to establish yourself somehow. Ask yourself, where do your readers go on the Internet? Is there a list or Facebook group or Google group or other place where you can easily connect with a lot of them with one targeted message? As a mystery author, I started out by targeting the DorothyL list. I made a note of who wrote reviews and posted them there and asked them if they’d consider looking at IDENTITY CRISIS and reviewing it when it came out. This helped build some initial buzz among readers. Since then, I’ve joined Facebook and Twitter and I’ve expanded my approach substantially. 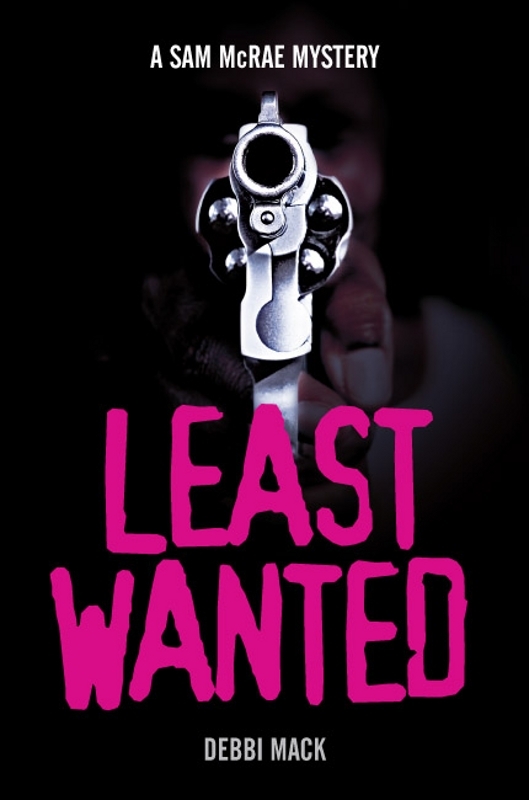 When I released LEAST WANTED, I sought pre-release reviews from bloggers and that helped create buzz before the book came out. I’ve also networked with other authors and sought endorsements from them. The more authors and bloggers you get to know, the better, because you can cross-promote each other, guest blog, interview one another, etc. I’ve built a pretty substantial following on Twitter. It’s a nice diverse group. Many of them are authors, many are people who enjoy books for various reasons, many are involved in other creative fields, the rest are simply people who are fun and interesting for any number of reasons. I’m a big believer in the power of online serendipity. Although we’re all aware of the need for caution in how you handle yourself online, I also think people have the capacity to amaze, inspire and do wonderful things. So be open to connecting with a lot of different people. I think part of what’s worked for me is that I blog a lot. I have five blogs and a monthly column on my Web site. It’s not something I decided to do as part of a grand strategy. I started each blog based on my desires and perceived needs at the time, and I keep them up because I enjoy doing it. I would recommend that blogging be incorporated in your marketing as much as possible. You can reach readers on the Web through blogging, and tweet your posts so they do double duty, as it were. You can also post them on Facebook. However, you’ll get far more marketing mileage from Twitter than Facebook, in my opinion. Finally, be willing to take a few risky moves. I’ve done book launches and other promotional events that have helped boost my book’s rank. Frankly, I’ve never once managed to succeed in hitting a goal, rank-wise. However, each failure has taught me something. So, it hasn’t been wasted effort. My book has done better, plus I’ve learned something each time. DM: While my Amazon.com rank is obviously not in the Top 100 anymore, when it was I sold hundreds of copies that ranged anywhere from 470 to 650 per day. When LEAST WANTED reached its peak at #6 (as far as I know) on Amazon UK in early June, I was selling on average 270 to 300 copies per day. And, yes, you do have to keep up a steady stream of sales to maintain a rank on Amazon. I’m probably as confused as anyone else about how Amazon’s ranking system actually works, so I have no clue how these numbers are derived, actually. FS: Where do you stand on the 99c pricing point issue? It seems to be a hot topic at the moment. Certainly prospective readers are getting quite a bargain in getting an entire novel for under a dollar (or a pound). How did you come to the decision to price you work at that price? Would you ever consider bumping the price a little to, say, $2.99? DM: Well, clearly I’m not against pricing my books at 99c. I’ve experimented with raising the price in the past and seen sales drop to the point where I was, in effect, losing money, because the sales volume was so low it countered the 70% royalty. Because of that, I dropped the price back down to 99c and saw immediate great results on my sales. However, that was back when I only had one novel published. Now that I have two novels and they’ve both achieved bestseller status in two markets (the US and the UK), I’m seriously considering the possibility of raising the price of LEAST WANTED to $2.99. I think initially pricing your work at 99c is a highly effective strategy for breaking into the market in a big way. Once you establish something of a track record or brand awareness, raising the price to $2.99 might not adversely affect your sales. I’m always revisiting and rethinking my pricing approach, because I think the proper approach depends upon various factors, such as how many titles you’ve published, how well you’ve established your brand, how well readers like your books and how well you’ve built a readership that will follow through and buy your new titles when they come out. FS: It says on your Amazon profile that you’re at work on the next Sam McRae novel – care to give any hints? FS: I recently sat down and watched The Lincoln Lawyer, and loved it. These sorts of stories, both in movie and novel form, have been highly popular for many years. Who has influenced you the most, and why do you think these stories appeal to so many people? DM: I haven’t seen The Lincoln Lawyer, but I’ve read the book and loved it. 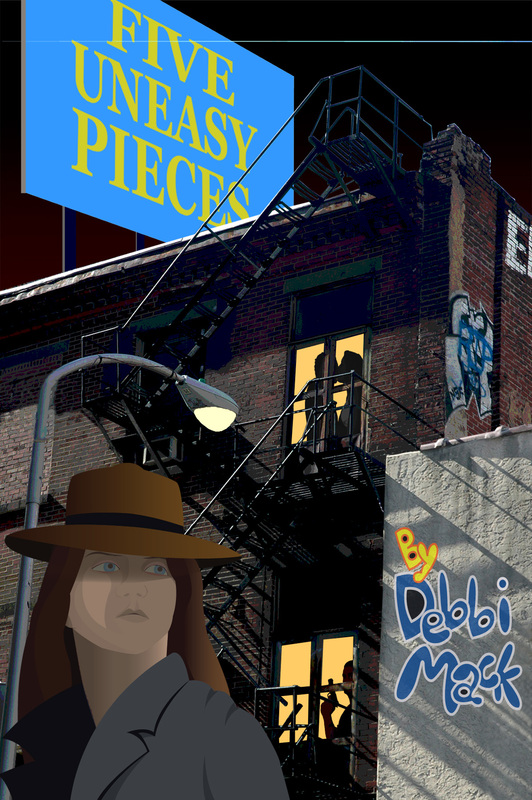 I think these kinds of stories infuse the puzzle aspects of the mystery genre with themes that resonate with readers. Like the desire to see justice done for the little guy. That sounds clichéd, but Mickey Haller in The Lincoln Lawyer was all about making sure the system worked the way it should and protecting his client. So are the protagonists in a lot of other legal mysteries and thrillers, going back to Erle Stanley Gardner’s Perry Mason books. There are also the moral ambiguities that come with working as a defense attorney. I think readers find these issues interesting. Human beings are complicated. We don’t come clearly marked, wearing white hats or black hats. And we all have our good points and bad ones. So, when the protagonist must grapple with tough issues, it forces him or her to make tough choices. The reader wants to know what choice is made and why, and the effect can be cathartic. As to who has influenced me most –authors like Robert B. Parker, Sue Grafton, Walter Mosley, Mercedes Lambert, Judith Van Giesen, Raymond Chandler, Ross MacDonald and Margaret Millar come to mind. FS: Okay, Debbi. I’m going to ask you 5 questions. 1. Favourite Book/Series of Books? DM: Boy, that’s tough. Picking a favourite (note the proper spelling ) isn’t easy. I’m tempted to pick a mystery series. However, I think I’ll pick the Hitchhiker’s Guide series. Because I loved it and Douglas Adams that much. 2. Who would play you in Debbi Mack: The Motion Picture? DM: OMG! Whoever she is, she better get paid well for having to appear in such a boring movie. lol Ahem! I’m thinking maybe Jennifer Jason Leigh or Ally Sheedy. They both seem about my type. 3. If you could stipulate a totally inappropriate song choice for your own funeral, what would it be? DM: I would totally love to stipulate “Highway to Hell” by AC/DC. I can just picture my casket being solemnly carried down the aisle as Bon Scott belts out, “I’m on the highway to hell!” Awesome! Or, perhaps, that would be totally appropriate in my case. Who knows? 4. Which website(s) would you say you visit most often? DM: There are a bunch of blogs where I make regular visits. However, almost without exception, I stop by Nik Nak’s Old Peculiar every night and take the trivia quiz of the day, aka the teaser. It’s great fun and I’ve gotten to know Paul Downie, who writes the blog and is a huge Doctor Who fan, like myself. It’s because of Paul that I was able to arrange to donate a bunch of copies of IDENTITY CRISIS to the Essex County Library system. So he was able to borrow a copy and read it and post a review on his blog. Some of my other favorite blogs are The Anti-DC, The Bloggess, World O’ Crap, Mr. Teachbad, The Vandal aka Derek Haines, and Makya McBee Vs.
5. Where do you see yourself in 5 years time? Or what do you see yourself doing? DM: I can’t even imagine where I might be in 5 years. I’m not one to make predictions at all, because you never know where life will take you or what might be possible. If someone had told me two years ago that I was going to be where I am now, I would have told them they were crazy. So … I guess about the best I can say is that I hope I’ll still be doing what I love most — writing and making a living doing it. FS: Before we go, anything you’d like to say to your readers? Anything you want to say to people who want to follow in your footsteps? Your success is certainly an inspiration to people who want to get their work out there and read. DM: To my readers, I just want to say, thank you so much! I’ve appreciated all your reviews, emails, and comments on Facebook and my blog. I always feel a bit weird making the distinction between writers and readers, since all writers ARE readers (or should be). Anyway, I’m sincerely thrilled that so many of you have chosen to buy my work and have been so supportive. To aspiring writers, the first step is to get started. Write the very best book, short story, or whatever it is you want to write. Focus on quality first. Learn your craft. Once you start publishing, marketing and selling your work, just be persistent. Remember you’re running a small business now. You’re selling a product. Be brave and try inventive ways to promote yourself and your work. If you fail, don’t lose heart. Just learn from it and keep going. Keep the faith! FS: Well it’s time to wrap this up. Hopefully we can have a chat again – it’s been a treat. Till then I’ll stay in touch via Twitter. Thanks for participating! DM: Sure thing, Tony! It was a blast. See you around Twitter. 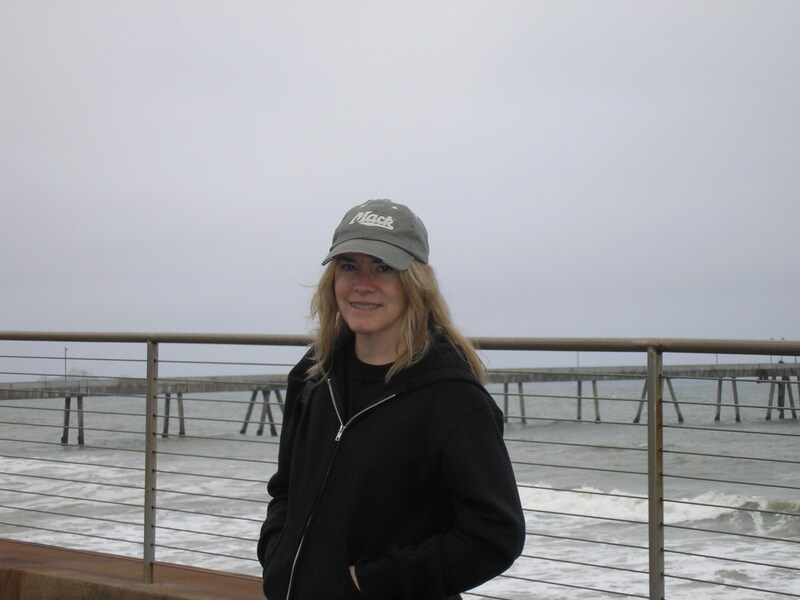 A former attorney, Debbi has previously worked as a journalist, librarian and freelance writer/researcher. You can find her online at http://www.debbimack.com and http://midlistlife.wordpress.com. Great interview with a truly great lady and writer!! Lovely interview and pictures, Debbi! I so agree with you about time being a nonrenewable resource. I’m glad you’re doing what you love and making us writer/readers happy that you’re doing it! I think it’s such food for thought. Time cannot be reversed, or taken back. Those years not spent writing could have been years SPENT writing, and I think that’s the point; we’ll never get wasted time back, so don’t waste it. Debbi’s sentiments certainly make me want to push myself that little bit harder and do what I want to do.